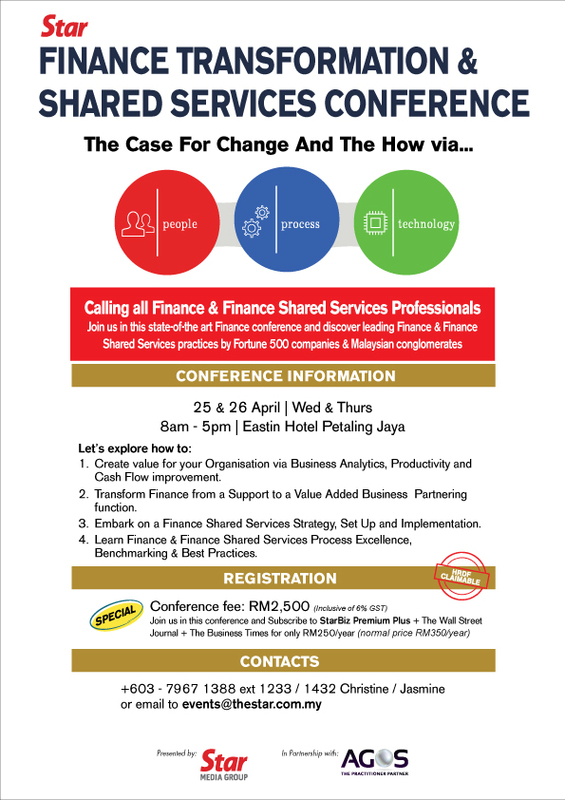 Star Media Group Berhad in partnership with AGOS Asia is organising the Finance Transformation & Shared Services Conference in April 2018. The aim of the conference is to promote best practices Finance learning across the MNCs, PLCs, and SMEs within the Malaysia business landscape. 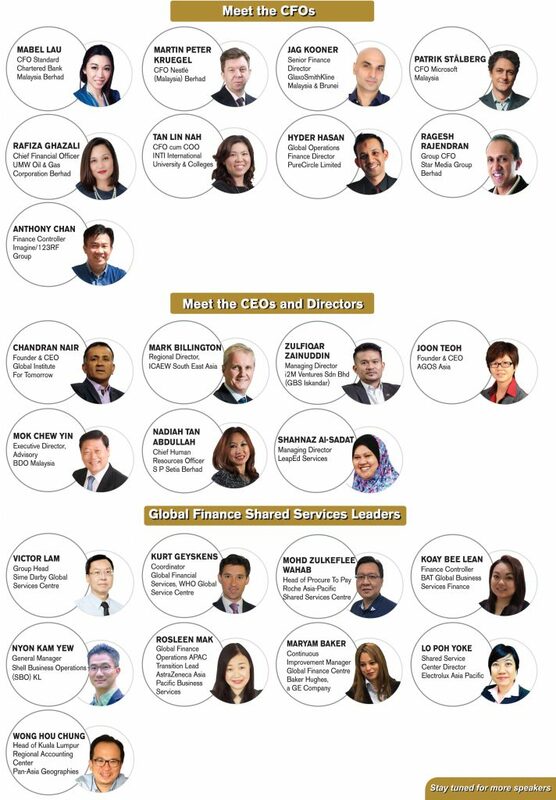 We do believe this is one of the first Finance conferences to be organised in Malaysia and we are excited to be facilitating this platform for discussion. The conference is HRDF claimable. Fee is inclusive of course materials, certificate, case studies and meals.